NEW ORLEANS – The men of Saint Augustine’s moved to the nation’s top spot while the women of Angelo State holds steady at No. 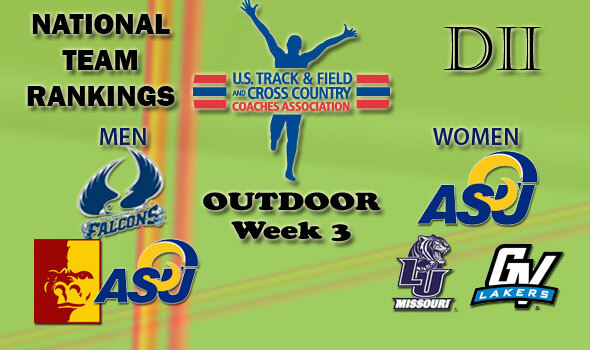 1 in Division II for the third-straight week, as announced by the U.S. Track & Field and Cross Country Coaches Association (USTFCCCA) on Tuesday evening. Saint Augustine’s moved up two spots to dethrone the Rams.